Traditionally, robot toys were made out of plastic and needed a battery. 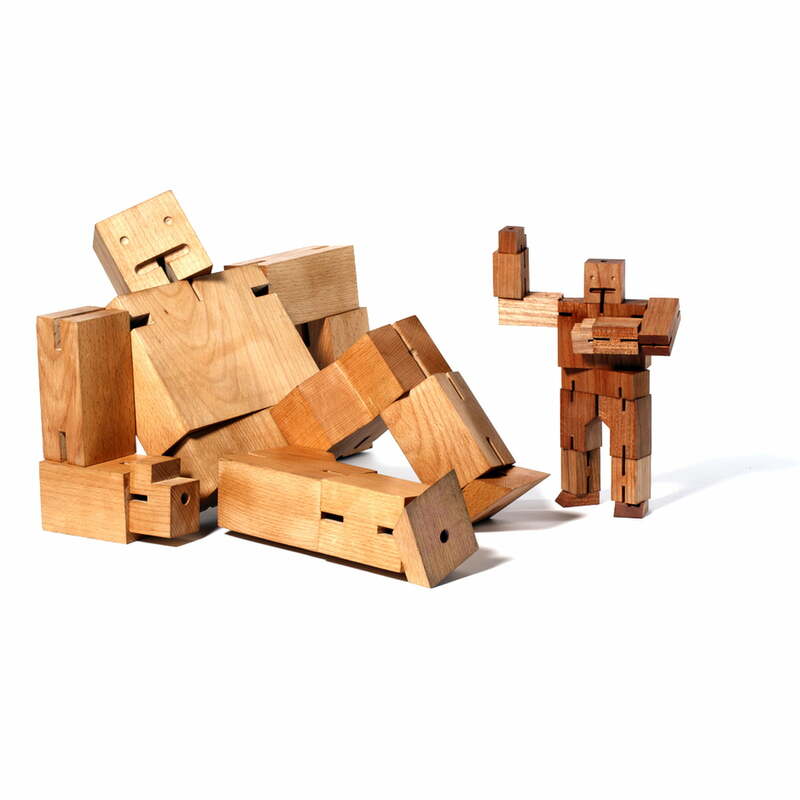 Not so does the Cubebot by areaware. 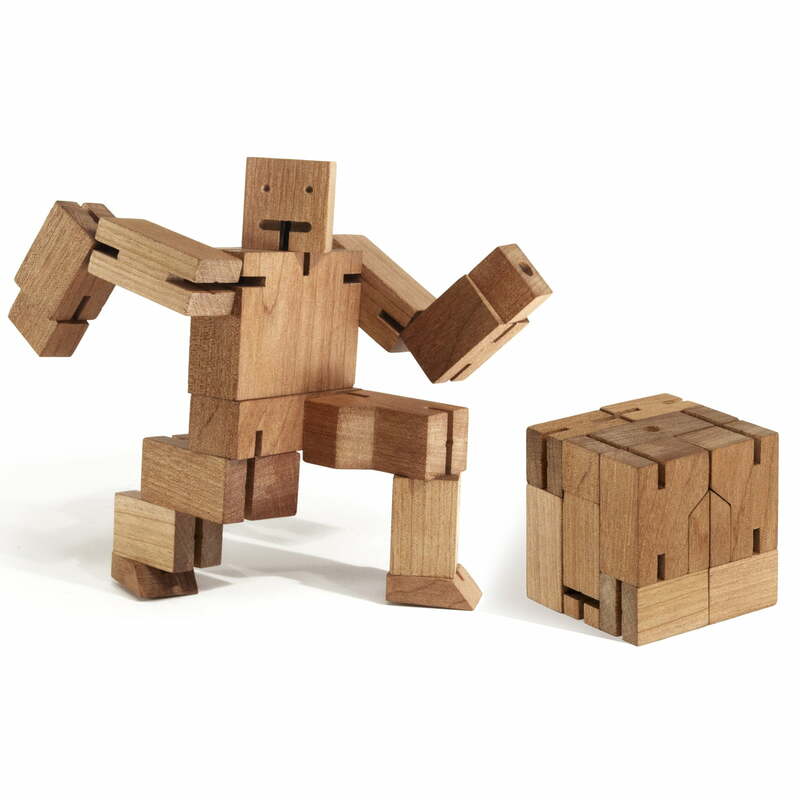 Inspired by the Japan Shinto Kumi-ki puzzles, the designer David Weeks created his Cubebot out of cherry-tree wood. 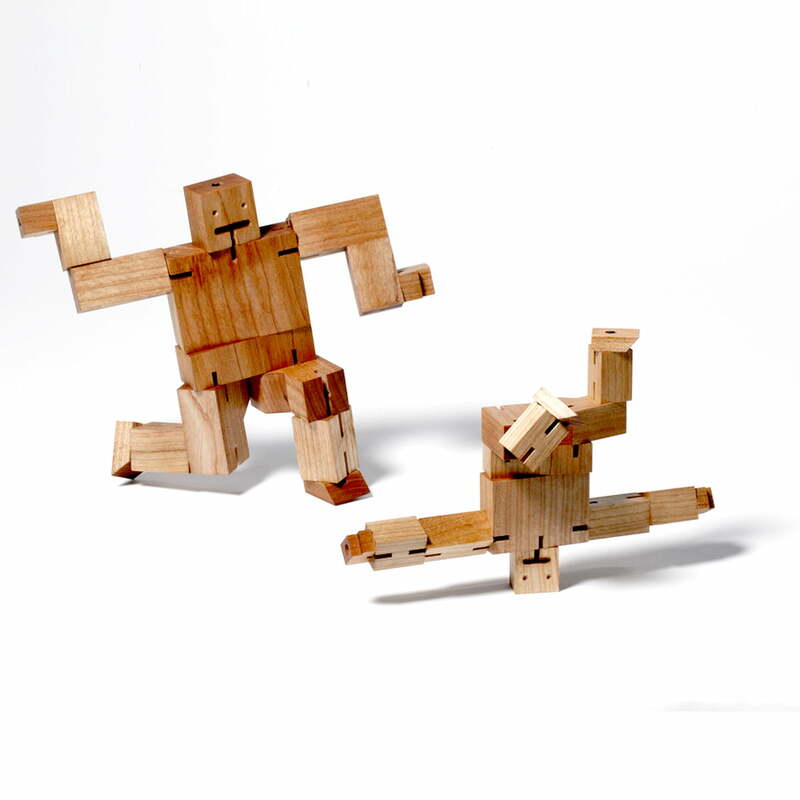 Cubebot is a combination of Japanese tradition and contemporaneous toy-culture. Like one of the popular television heroes, Cubebot is transformed into a futuristic robot with only few hand grips. If it is time to rest, the Cubebot will become a perfect cube again. 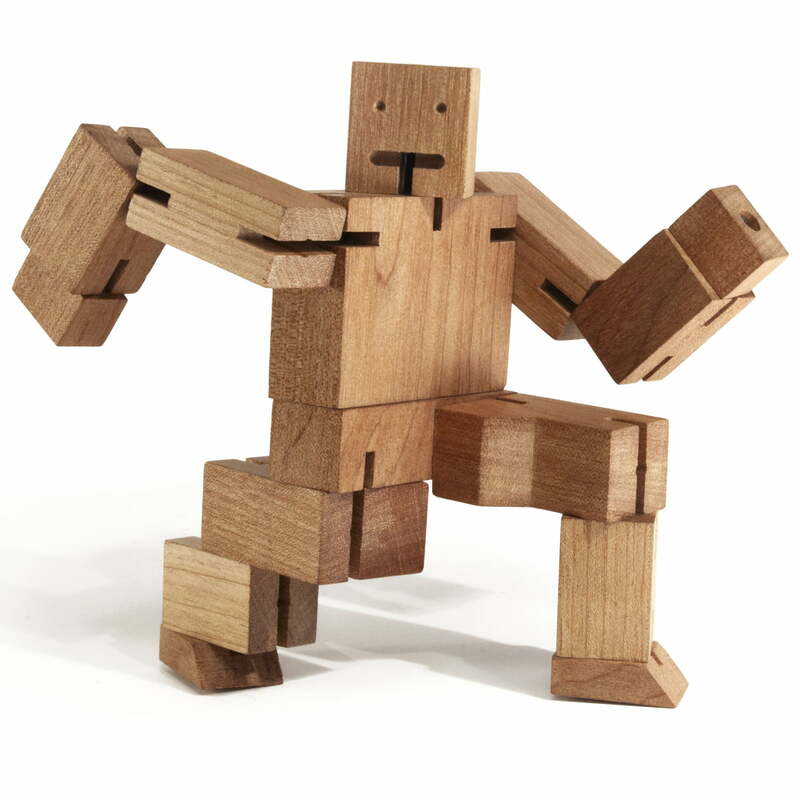 Like a hero it poses, walks, dances, kneels or simply stands – the Cubebot can adopt numerous poses. Its joints and muscles are kept flexibly together by rubber bands. 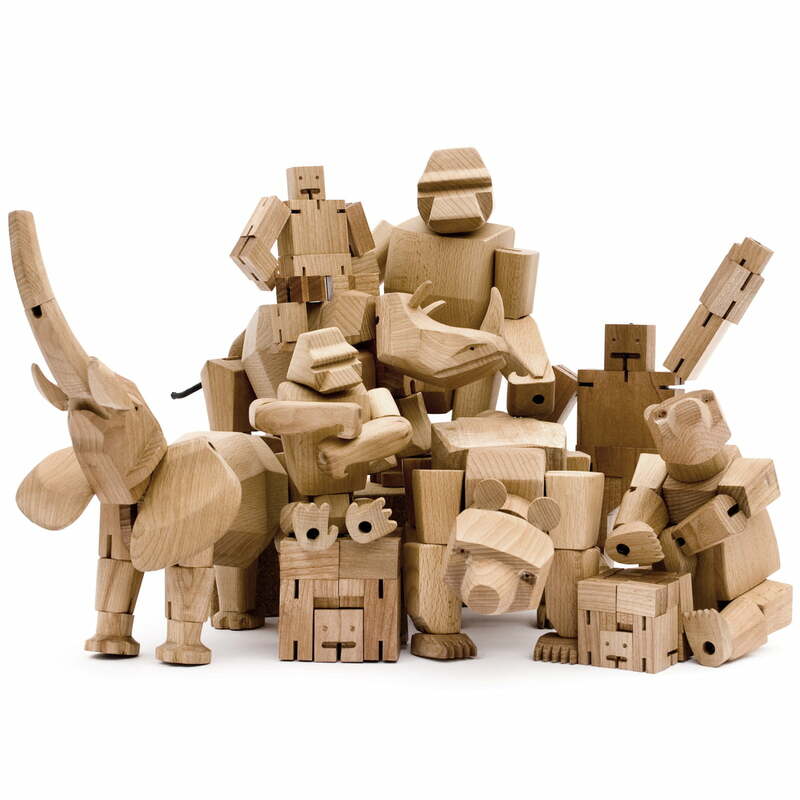 And like it should be, a real robot like Cubebot is nearby unbreakable: the wooden model is hard and robust and therefore resistant to nearly every shock. 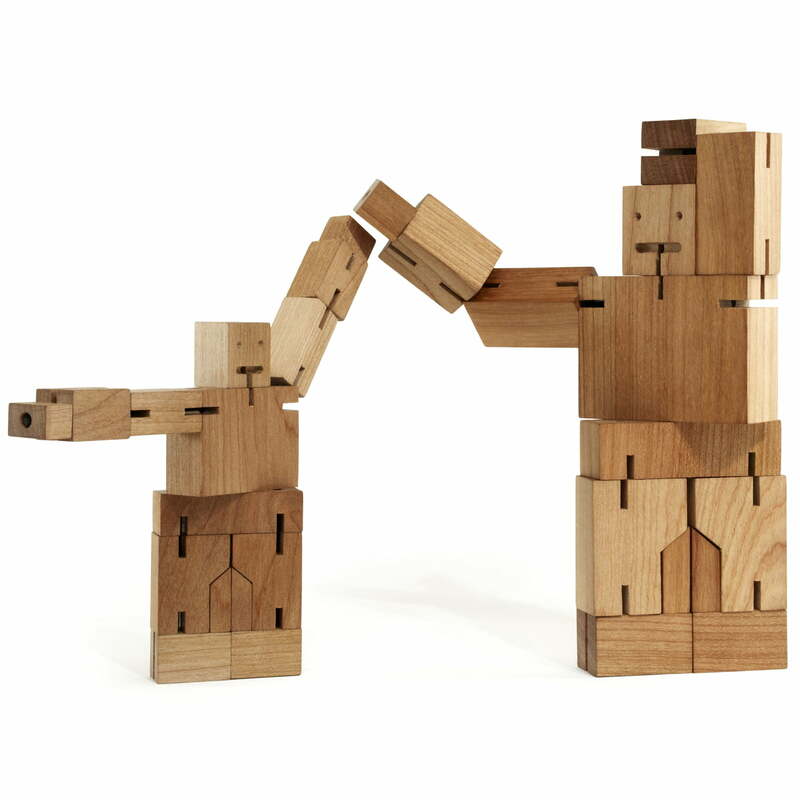 Cubebot was made to survive generations of playful hands. But the charming robot is not only suitable to play with it: as an ornamental item Cubebot does also feel comfortable, on your desk or shelf. Cubebot is suitable for children from 3 years up. Cubebot - square and simple. 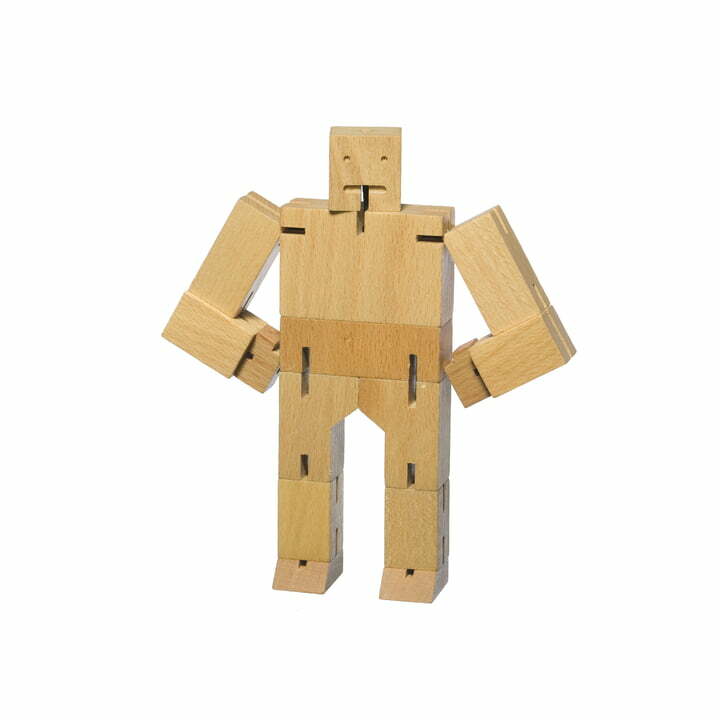 In a few simple steps, a charming little robot is built from an ordinary wooden cube. You can keep discovering Cubebot in different positions, like when transformed into a cube for travel or storage. 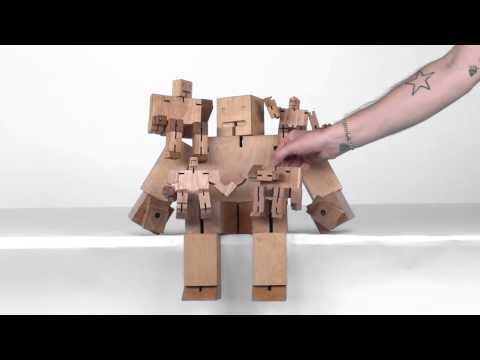 The wooden robot in detail: the video explains the various sizes and versions at a glance.The wooden heroes introduce themselves personally and stimulate the imagination of children and adults. 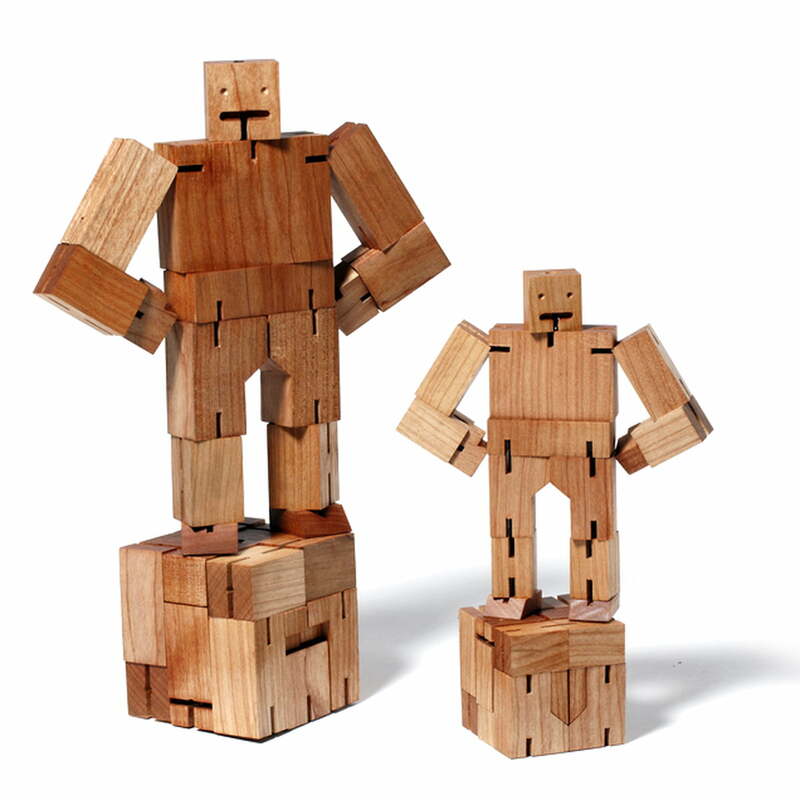 The Cubebot family by Areaware is available in different sizes. Thanks to its special flexibility, the Cubebot can assume various poses and postures. Thumbs up for so much flexibility.